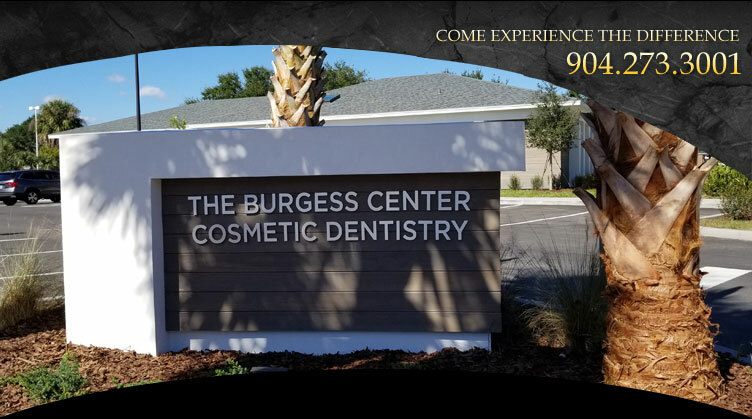 If you need a cosmetic dentist in Jacksonville, it’s time to book an appointment at the Burgess Center. Our entire team is dedicated to combining the most advanced technology with the most personalized and comfortable care. If you’re looking for dental care providers who make you and your smile a top priority – we’re the people you should partner with. When you visit our office you will experience all that modern dentistry has to offer, including a comprehensive list of cosmetic dental services to meet the needs of the whole family. Whether your needs include a one-visit, computer-fabricated crown, or a life-changing smile makeover, our goal is to assist each patient in achieving and maintaining long term dental health and a beautiful smile. Let our cosmetic dentist in Jacksonville give you the Hollywood smile you’ve always dreamed of. While we provide a full range of dental services, we are known as one of the top cosmetic dental practices in Jacksonville. We apply this background in everything we do...whether replacing an ugly metal filling with a white one, bleaching darkened teeth, providing orthodontics without wires, filling a cavity with a laser, or our smile makeovers. We have seen a significant rise in interest for cosmetic dentistry in Jacksonville. Such high levels of interest can primarily be attributed to people's realization that having a healthy, bright and beautiful smile not only enhances their aesthetics, but also improves self-confidence. Thanks to the vast number of advancements in the field of cosmetic dentistry, our Jacksonville dental practice is able to improve your smile with swift, pain-free treatments and procedures. At the Burgess Center, we’re focused on giving a customized treatment plan to each and every patient. We want you to have the smile you have always dreamed of, which is why we’ve invested in state-of-the-art dental technology – so that you can achieve your goals without spending the amount of money that you might have spent a decade ago on the same procedure. We love what we do and hope that you sense our passion in every step of your experience. Please browse through our website. Feel free to call anytime if we can offer any assistance or if you would like to schedule an appointment. For your convenience, we also offer an online appointment request form to schedule your appointment. We hope to see you soon! Contact our cosmetic dentist in Jacksonville for more information today.